GNTST Cut Off 2018 | Madhya Pradesh Vyapam PNST Cut Off Marks, Counselling – This year i.e. 2018’s data of cut off is not yet unveiled. But in 2016, 58, 55, 53 and 57 were the official cut off marks for General Nursing Training Selection Test of Unreserved or General, Scheduled Caste, Scheduled Tribe and Other Backward Class candidates. Madhya Pradesh Vyapam GNTST PNST 2018-2019 Cut Off and Counselling will soon begin on an official website. Following some unknown reasons or technical glitches, Official website of Professional Exam Board i.e. www.peb.mponline.gov.in cannot be opened up right now. 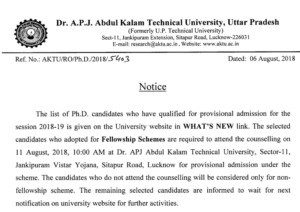 Before letting you know about complete details of Counselling Schedule and GNTST Cut Off release date, we will make sure to present in front of you this list of Documents Required at the time of Counselling i.e. Rank Card issued by Professional Examination Board, Admission Card issued by Professional Examination Board, five year experience certificate for Asha workers, original medical certificate, domicile certificate, caste certificate issued by concerned authorities and class 10th and 12th mark sheets online. For registration of the same, general applicants need to go through submission of Application Fees. And, it is far better if the registration fees are known to the appearing candidate well in advanced. Thus, just to let you know, Rs. 400/- and Rs. 200/- decided and divided Application Fees for Unreserved Category and Scheduled Caste/ Scheduled Tribe/ Persons with Disability and Other Backward Class category candidates respectively. As of now, that’s all you can learn about GNTST Cut Off 2018.